Growing up, I did a lot of sports. I played soccer, was a track and field athlete and was in general always active. As a matter of fact, sports was one of the places I got the most mentorship and help from, besides my parents and at church. But, as I entered into later stages of adolescence, I became somewhat lazy. I quit a lot of the team sports I was in and didn’t pursue them further. 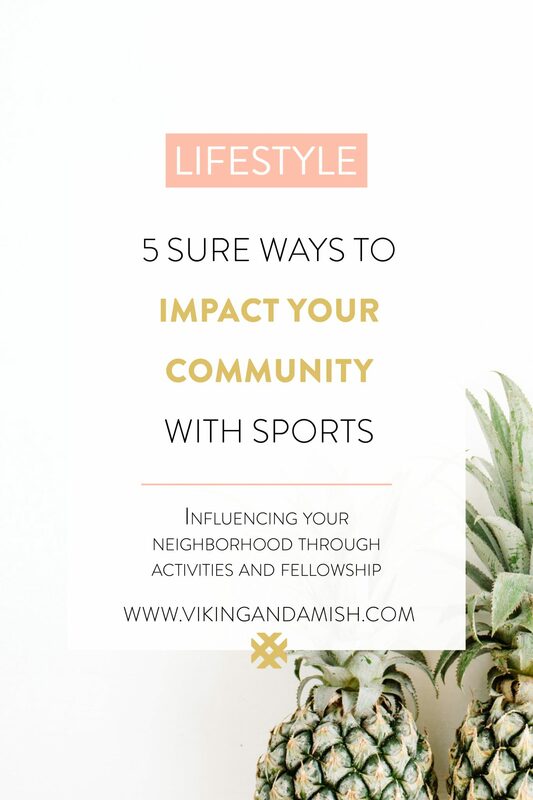 However, today, as I reflect on how to be an influencer for good things to my surroundings, I see how we easily can use sports as an avenue to impact our communities. Then, the sports I got into in my early 20’s were more individualistic sports, such as cross-fit, yoga, strength training, and running. 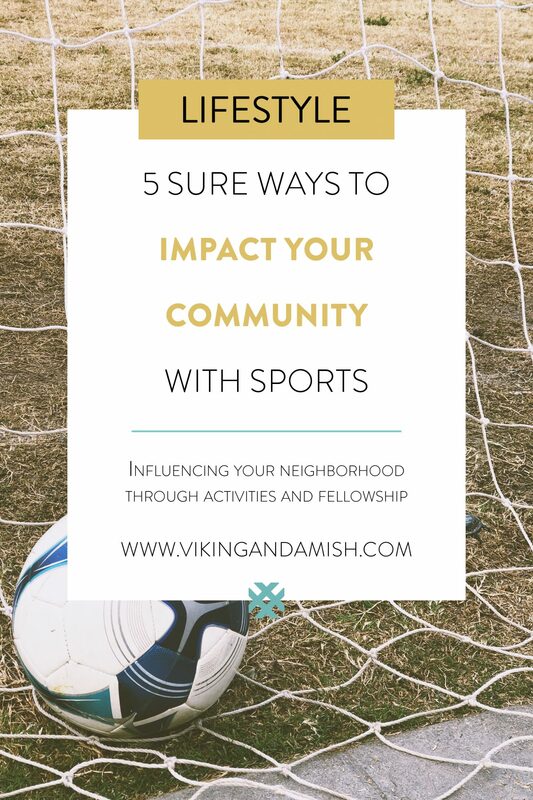 Since they were easily accessible for me, traveling a lot, I was not able to put down roots and get involved in a community through sports. Thus, I chose sports that I could do on my own. After I married Jeff, I finally settled down for the first time in years. All of a sudden, I was able to commit to a “place” longer than a few months at a time. I came to realize I needed a paradigm change from a short-term mindset to a long-term commitment. The long-term mindset changed my approach to a lot of things. As can be seen in some of my previous posts, I’ve been deeply impacted through helping plan a community party, and by ways to bless my neighbors. 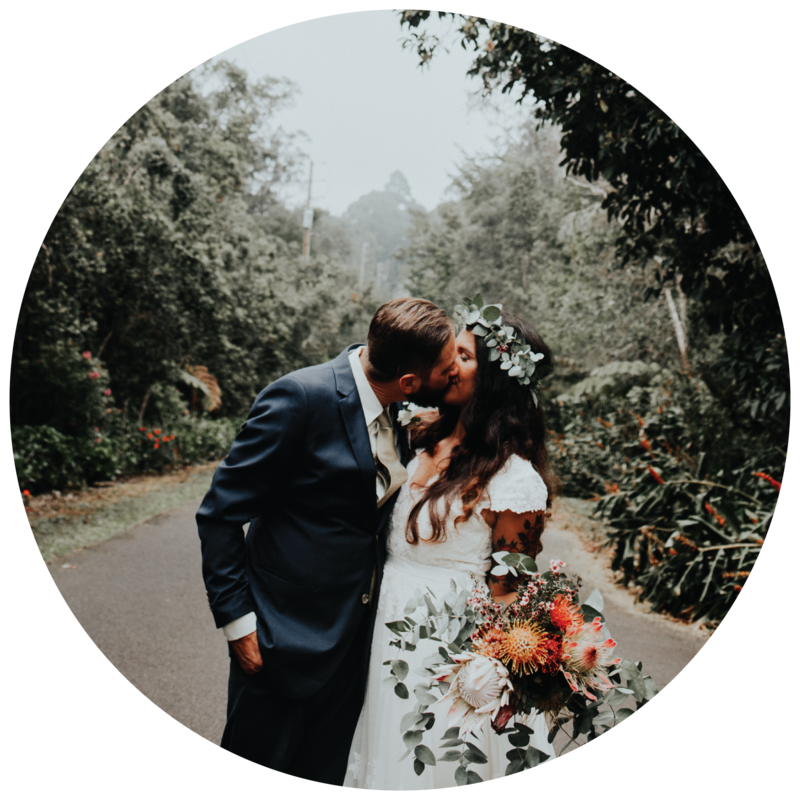 A lifestyle missionary is an ordinary Christian, who partners with God on His mission, and allows Him to use their lifestyle as a way to minister and inspire their local community. Here is a simple list of ways that you can use to inspire and influence your surroundings. In the church I grew up in, we always had a lot of fun seasonal activities that encouraged the community to come and participate. Some of them were just festive while others encouraged participation such as soccer tournaments and Christmas markets. Truthfully, I started playing soccer solely because of a soccer camp my church hosted. They had invited a team from the United States (I grew up in Denmark) to put on a camp for the local community. While this team taught classes in different aspects of soccer they also offered great listening ears and discipleship to the neighborhood kids that were all participating. Obviously, we don’t have to commit to long sports camps just to bless our communities. 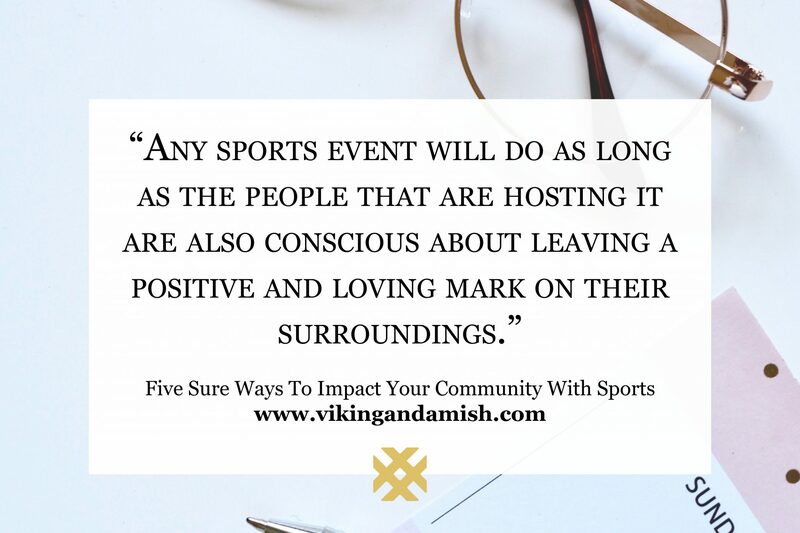 Any sports event can have an impact, as long as those hosting it are conscious about leaving a positive and loving mark on their surroundings. Although I don’t have personal experience with coaching, I know lovely Christian people who use their position as a coach to encourage and disciple others. As a coach, you get to correct and speak to people with authority. This gives you a great chance also to embrace and assist those on the team that would typically fall through the cracks of society; those who don’t have a support system at home. Of course, you have to be professional by not engaging in favoritism. Remember too, as a coach, even non-coaching conversations or actions can have an impact or consequences. The dynamics of a club is similar to team sports but typically exists for sports where people compete individually. Some clubs require paid memberships where others are looser in their requirements. My father is an Ironman and is part of a triathlon club. He has told me he really enjoys it. In brief, his club has scheduled workouts that everyone can attend. As they work out together, they also build relationships. Starting a club that is inclusive and offers motivation and opportunity for others to get exercise is a beautiful way to develop new friendships, engage your community, get sweaty, and maybe lose a little weight at the same time. In fact, a lot of churches and organizations raise funds for their causes is through fundraisers. There are many ways to set them up so that they involve sports. If you a looking to raise funds for a neighborhood project, this is a smart way to do it. For instance, one way to organize is to measure a short lap, like 1/2 mile, and then have the participants find “sponsorships.” That means a sponsor gives a certain amount per lap completed within a set time span or a fixed amount from the start. Another way to do it is to host a tournament and thus have participants pay an entrance fee. This is easier with some sports such as baseball, ping-pong, or golf. If you are looking to engage your neighborhood make sure to be visible, approachable on the day, and to have some follow up after the fundraiser. I have a lot to say about team sports. 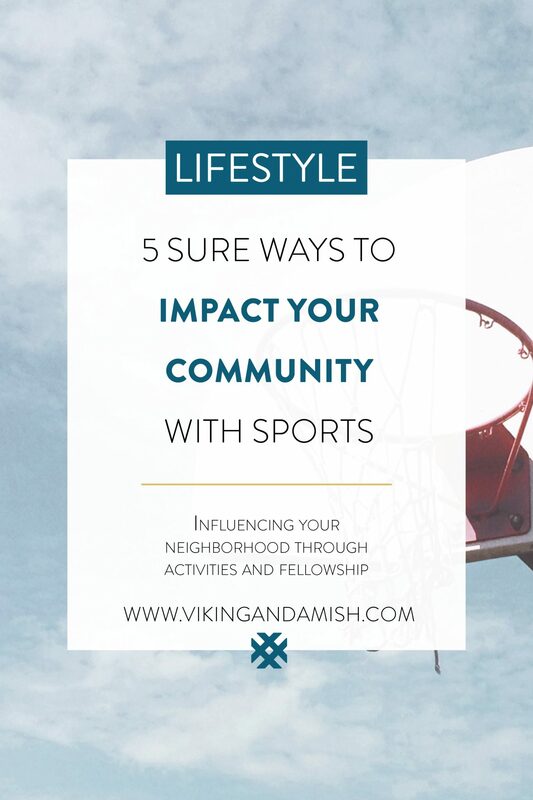 After all, it is one of the most intimate and involved ways you can impact your community, in my opinion. However, note that depending on the level of commitment and level of competition, joining a team sport as an adult requires dedication. Besides the weekly practices, for me, it often took up weekends, sometimes more than that, for games, social gatherings, and team meetings. Opportunities for discipleship and influence depends on how deep your friendships go. A thing to look out for is that even as an adult you will have the internal “politics” or social structure within a team. There will be “drama queens,” introverts players, social butterflies, Democrats, and Republicans, etc. Because of multiple different types of personalities, certain things are bound to happen on a team. The way you respond to these types of situations is, in my opinion, how you best can influence a sports team. As for most groups, you will begin to see cliques form, and unfortunately, that can lead to gossip. Though this should be something that adults are good at avoiding as we probably have all experienced how hurtful it can be, it tends to sneak its way in when we are not careful in monitoring our own emotions or good at listening to others. To stand out and be a good influence on your sports team refuse to engage in gossip. Moreover, by taking a stand and saying that you feel uncomfortable talking badly about people when they aren’t there to give their side of the story you are also showing that you are a person that can be trusted. Don’t be scared what the reaction might be, as long as you do it kindly people typically won’t be offended. A difference of opinion happens exponentially the more people are engaged. If people aren’t careful, these differences can quickly escalate into conflicts. I have written a series of posts about conflict resolution that I would recommend reading if you need tools to deal with disputes—even on your sports team. It makes a significant impact on others when you prove that conflicts can be dealt with in love and with grace. Thus, without allowing your emotions to get the best of you and speaking the truth without projecting, you will have opportunities to be a powerful testimony to your teammates. The fun of being part of a sports team is competing against other teams. Here, practice and time invested shows off, and sometimes emotions will run high. Even with adults snarkiness and a bad attitude can be a factor. 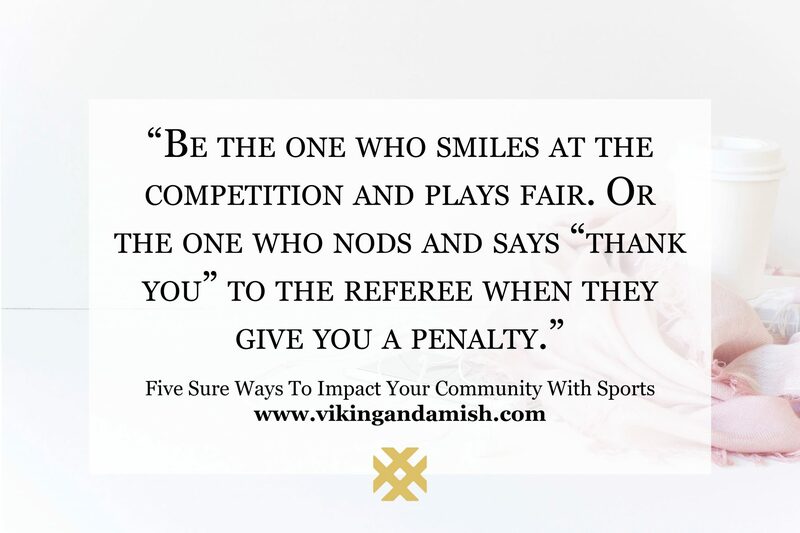 Be the one who smiles at the competition and plays fair. Or the one who nods and says “thank you” to the referee when they give you a penalty. That will help create a culture on the team which sets the bar high for what is expected from all team member when they represent the team. You want to avoid being known as the one on the team who lost your temper, spoke back to the referee, or yelled at a teammate. A take away from the last team I played on was our attitude to victories. We played on a very high level compared to some of the other teams in the state, and that came with a lot of victories. When we won, we tried to keep ourselves composed, didn’t flaunt it, gave hugs and high-fives to the team we competed against and showed appreciation for their sports(wo)manship. I notice a growing need for fellowship and engagement in my generation. Young people who’ve grown up with social media are beginning to starve for real relationships and intimacy. 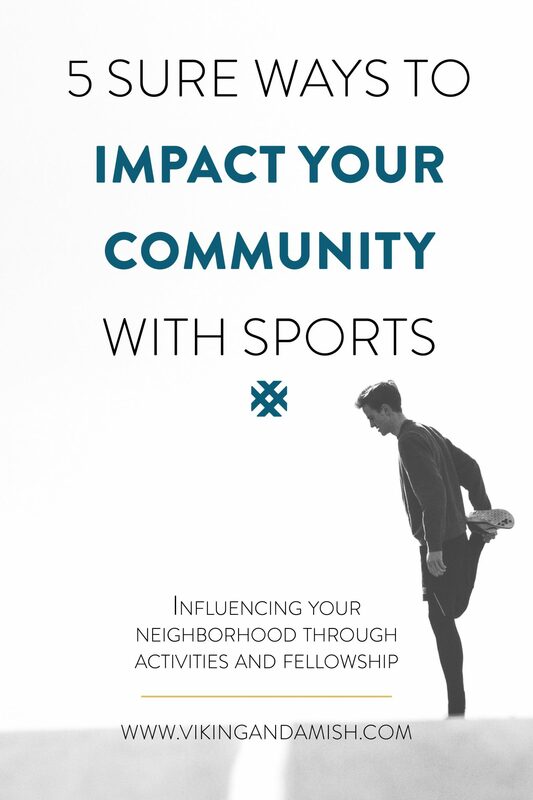 To be a force for good in your local environment, sport is a great tool to get people off the couch and out moving. As you may already know, we release hormones that make us feel joy when we do sports, so not only will it create happier communities, but also better friendships. Thank you for reading, and I hope this post will inspire you to boost activity in your neighborhood. Comment below if you have ideas to add or comments. Disclaimer: The information in this blog is meant as help and is for general informational purposes only. Meaning, do not consider this as legal advice or a consultation. To clarify, I am a communication strategist and consultant with a degree in Communications, and I teach on conflict resolution and communication skills. Surely, I love what I do, and my advice is always based on either textbook communication theory or empirical evidence. However, I cannot be held liable for how you apply my advice. Without a doubt, I hope you well and success in applying the views I share on this blog.